The modiﬁed V-bottom boats have a classic hard chine, a sharp entry at the bow, and a moderate deadrise, or “V” at the stern. This design provides maximum stability and quick, eﬃcient planing, while maintaining the ability to cut through choppy waters and keep you, your passengers and gear dry. They are all designed to accommodate four- stroke outboards. 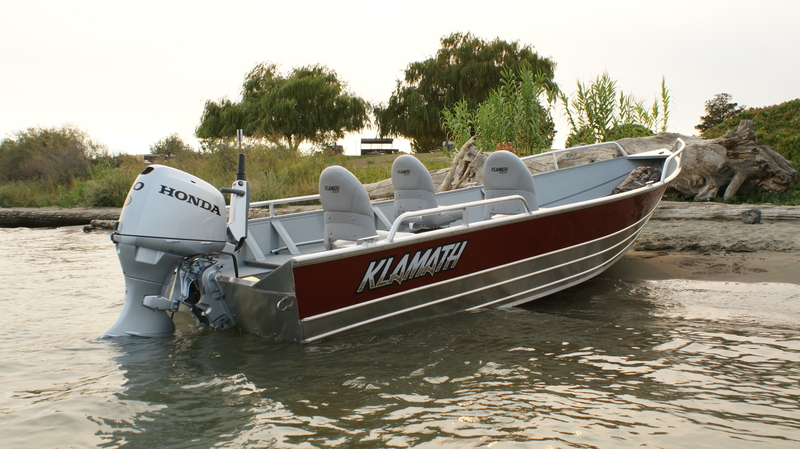 15 Advantage outfitted up with optional level floorboards, removable electronics mounting board, cup holders, black side paint, Klamath logo seat, swivel, clamp, and nylon cleats. “Beached” 18 Open Utility Boat. Get in and get out with no worries. 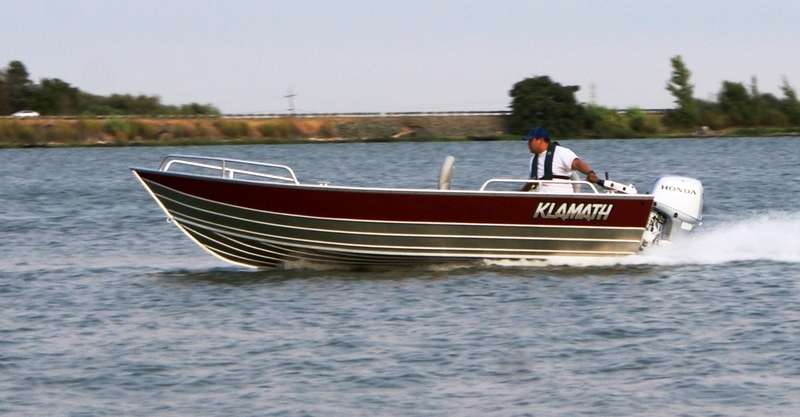 Inexpensive and roomy, this boat can handle big water without any problems. You can see these boats as far as the remote and harsh areas of Kotzebue, Alaska. 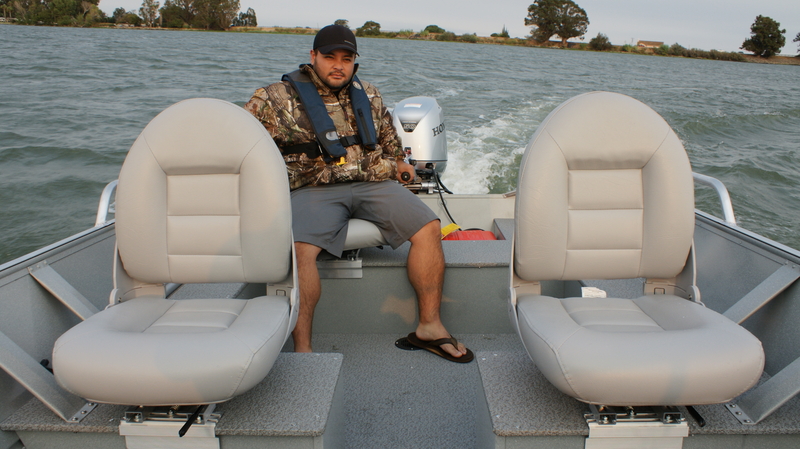 Lots of room to spare here, our split seat design lets you safely walk-through to the large bow deck up front. One of the largest diameter railing in the industry, 1.25 inch Heavy Duty Safety Railing helps keep occupants in the boat during choppy waters and offers a great location for rod holders, rod balancers or any other accessories. 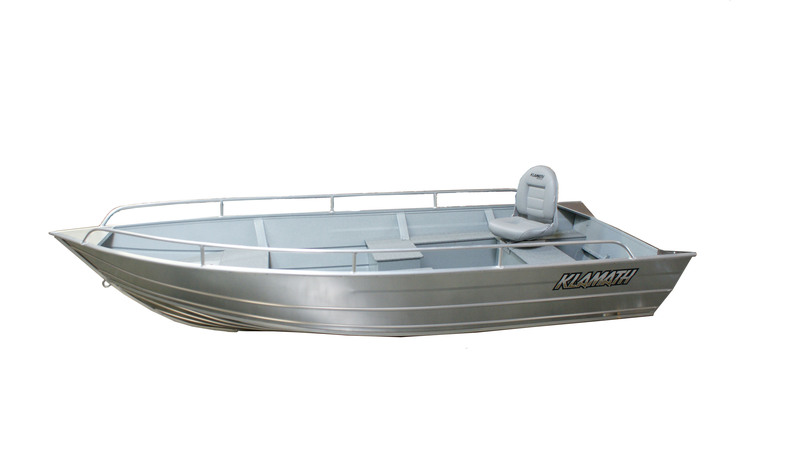 Our 18 Open Utility boat is the Beast of the the Utility Boat line up. Heavy Duty, light weight, protection from the sea, and BIG. Custom build yours with a ton of options available. We recommend a maximum of only 50 HP behind this one, you will get excellent performance and forever range to explore all of your fishing holes. 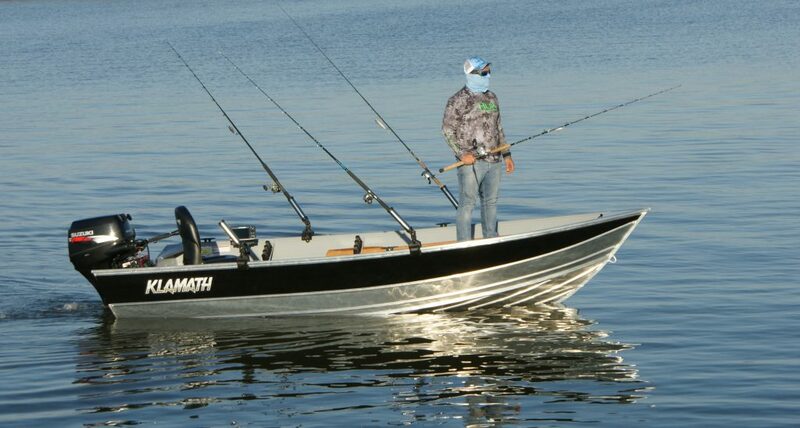 An extremely popular boat for working and fishing, the 14 Deluxe offers generous space for a nominal price. 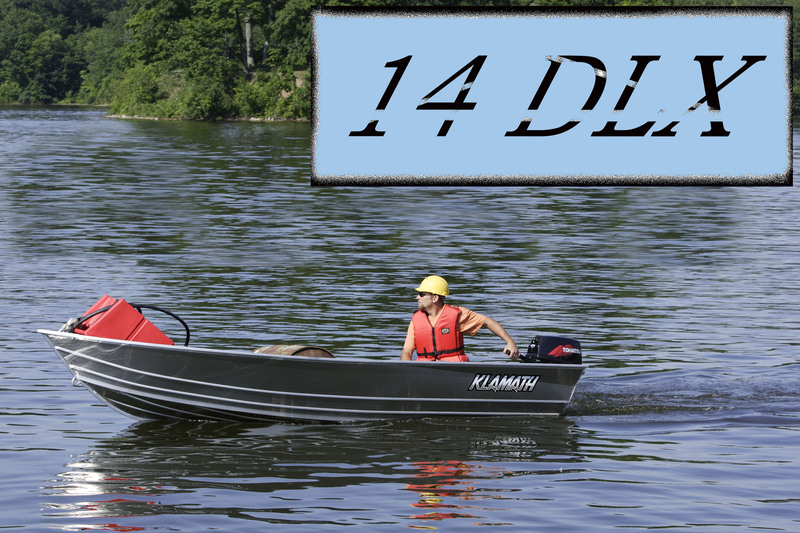 Our 14 Deluxe is extremely reliable and economically priced. 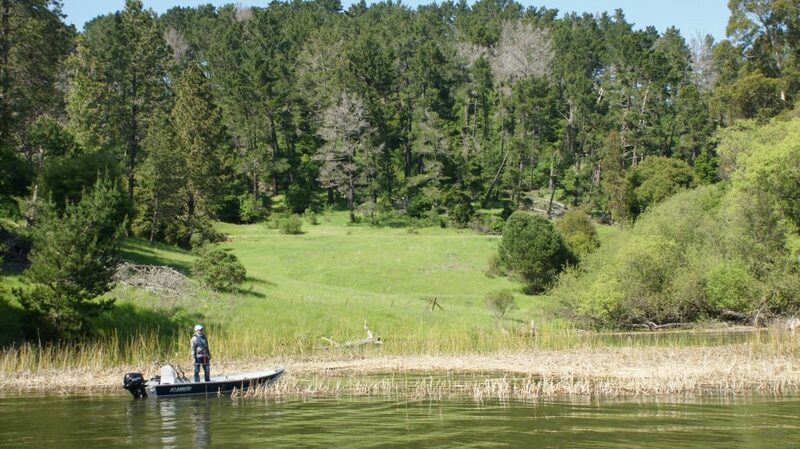 Fishing all day and go anywhere with only 3 gallons of fuel saves your pocket book. 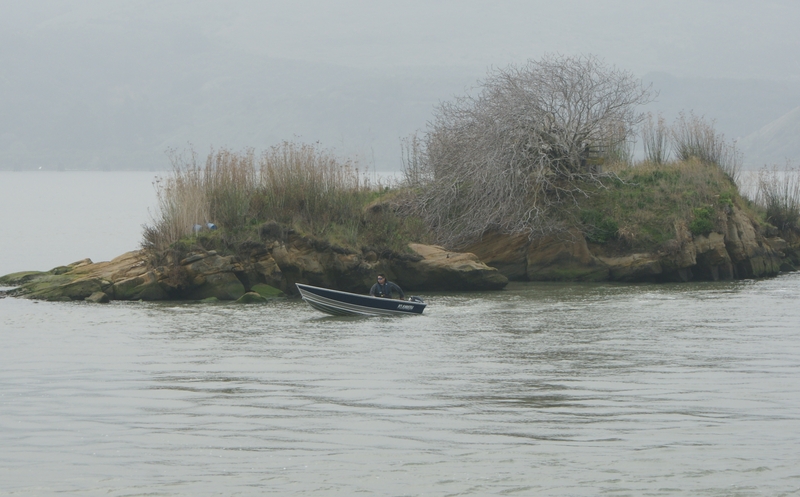 Chasing King Salmon in a 14 Deluxe, just outside 1st Street in Benica, California. 15 Advantage S with the all new full length welded rail option. 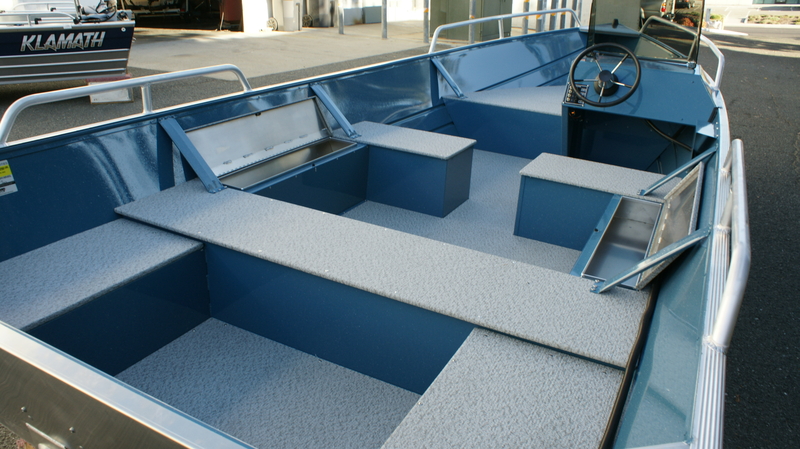 Full boat length rails are great for safety or adding optional rod holders. One item to help keep everyone safe on the water. 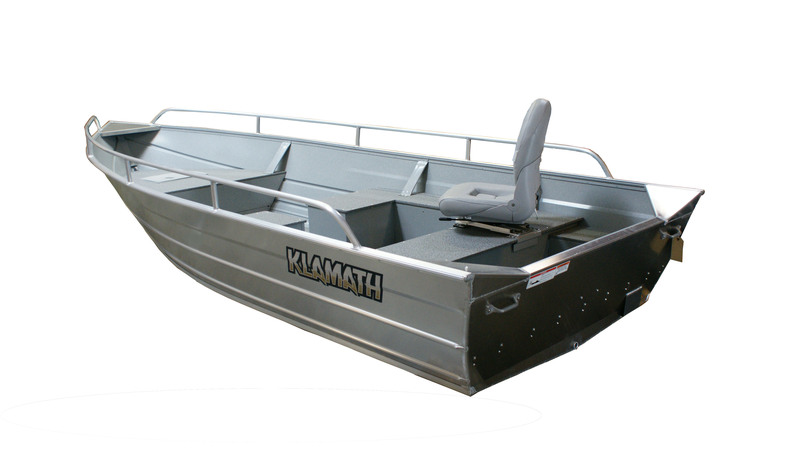 Rails are available for all of our utility boat sizes.